Buying your first aircraft can be daunting. There are quite a number of models available for sale and each one of them has their own characteristics. Additionally, if you are still with an instructor you may need a system that is compatible with clubs Buddy Box systems. The right time for buying your first plane is when you have reached a point where you are learning to take off and land. By this time, you’ll already be a member of the club and should have had some significant time in the air with our club trainer aircraft. If you have been learning to fly using the buddy box, you may need to purchase radio gear that is compatible with the club. Sometimes members have spare transmitters and receivers for sale that they are not using, this can be a good cheap way of getting started. Once you have gone solo and you are no longer on the Buddy Box, you are then free to update your radio to whatever takes your fancy. Our current buddy boxes are Futaba based radios on the FASST system. A radio like the Futaba 6EX will be more than adequate to get you started. Alternatively you can buy your own Buddy Box setup. Most modern computerised radios are capable of Buddy Box/trainer control setup but we recommend that you discuss this with your instructor if you wish to go down this route. The important thing is that you buy something that will “do the job” while your learning rather than spending larger amounts of money and over complicating your setup. Futaba Buddy Box system. A master and slave connected by a cable. What type of plane should I buy? There are many planes available to buy. For learning to fly, you need something specifically designed as a “primary trainer”. Generally, all these planes look very similar: they’ll all have a reasonably large, more-or-less rectangular wing, mounted above the fuselage. The wing will often have a flat bottom, and the two wing panels will be angled slightly upwards from the centre (dihedral). This is done as it’s a very stable configuration which usually makes for an easy plane to fly, especially when flying slowly. Nowadays, any decent trainer will be “4-channel”, with radio control over throttle, aileron, elevator, and rudder. Many older models did not have aileron control, but we wouldn’t recommend this for a trainer nowadays, as it means you’ll grow out of the plane much more quickly. Historically, you’d have had to go and buy a kit or plans and build the plane from sheets of balsa and plywood yourself. While this is still possible and a very enjoyable part of the hobby, we would not recommend it for your first trainer. We recommend purchasing an ARTF (Almost Ready To Fly) kit for your first trainer plane. Typically, this means the model is largely pre-assembled and that the structure has been built and covered for you. You still need to do things like fitting the engine and radio equipment, as well as gluing together larger assemblies like joining wing halves, or gluing tail surfaces to the fuselage. Most need set aside a good weekend to build your first model – even though they are “almost” ready to fly, they do still take a number of hours to put together especially if you are doing it for the first time. As always we are here to help you. If you have any questions or issues building your first model plane or you are not sure what to do, our instructors and club members can help. Do bring the model to the field for advice or bring it along to one of our club nights. Example ARTF. Ripmax Wots Wot. As well as the recommended traditional wooden models, there is also now an increasing number of aircraft made from moulded foam, however opinions are a bit divided. Traditionally we would not recommend these as a first trainer but for those looking to avoid the smell of castor oil and combustion engines, they are now a viable alternative. Another important aspect to remember about foamies is that they often get marketed as “Park Flyers”. Further down the page we have a couple of foamies that make good trainers and subsequent Fun Fly aircraft. 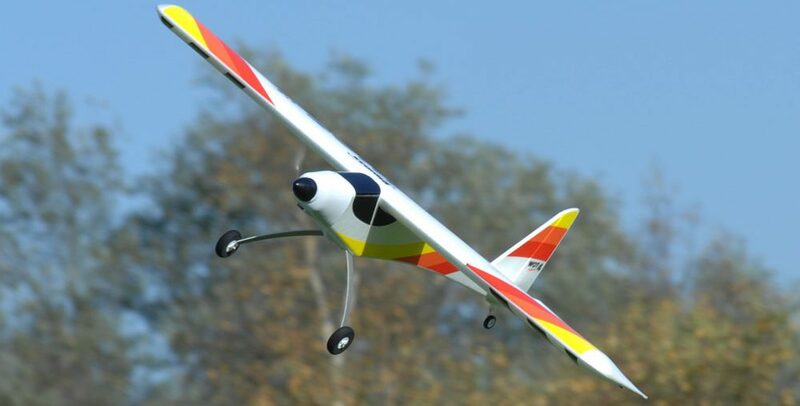 Generally speaking, foam models marked as Park Flyers and those with a wingspan of less than one meter (1000mm) are not suitable as training airplanes. Example Foamie. Rimax Wot4 Foam E.
Do be cautious about buying trainer aircraft with built in gyro stabilizers – these can come pre-packaged with foam models. We generally do not instruct using planes with these devices. 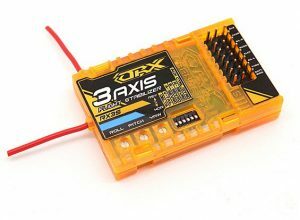 Orange RX 3 Axis Gyro. 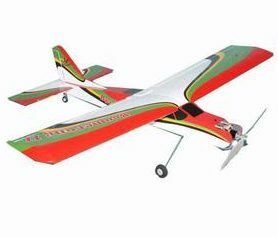 The plane will handle more easily in windy conditions with a gyro switched on but by making this easier, you are not learning how to fly with the wind as it takes the reflex action away from you. Secondly, as gyros limit the throw of the controls, if you do get into trouble you or the instructor may not have enough input to get out of it and save the plane. Thirdly, if the gyro is not setup correctly and it “corrects” in the wrong direction, you are in for an avoidable crash. It is the general consensus amongst our instructors that you don’t need this additional complication while you are learning to fly and they will generally request you disable/remove gyros from your trainer if fitted. The vast majority of our members do not have gyros fitted to any of their fixed wing aircraft. There are many options so it is tricky to put forward an ideal recommendation as to what is best. The type of aircraft you are happiest learning on largely depends on how you fly and what type of models you want to progress to. Please do discuss your needs with your instructor and they will help you make a decision on what’s your most likely to get along with. In general most choose glow engined 40 sized ARTF trainers such as the Seagull Boomerang or Tutor 40. These are all almost ready to fly models and good 4-channel trainers. You are very likely to see at least one of these in action at the field. There are many other options but as ever we advise discussing other choices with your instructor. 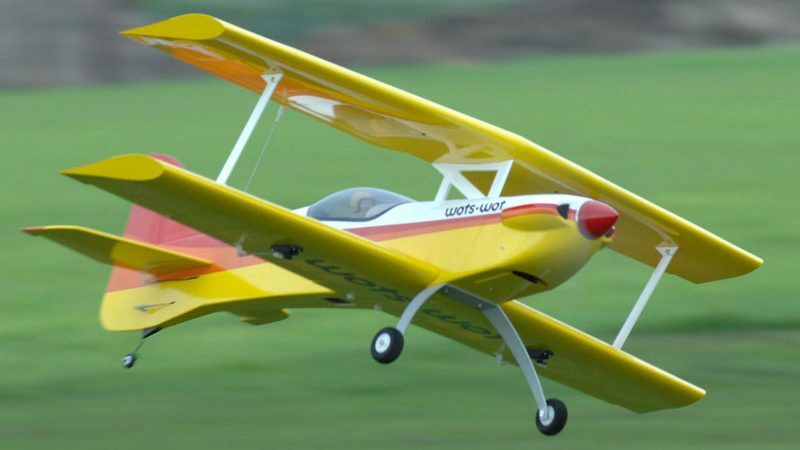 Whatever you decide, we recommend a tail wheel (or “tail dragger”) configuration, as we’ve seen too many beginners bending their nose-legs while trying to learn landings!